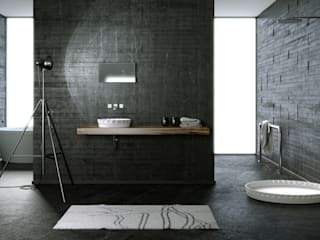 MyBath is an outstanding bathroom concept – a new collection of bathroom products, designed by famous Polish designers and manufactured by Acrea in the novel material DuPont™ Corian®. No other room in the house has been transformed quite as quickly and thoroughly as the bathroom. 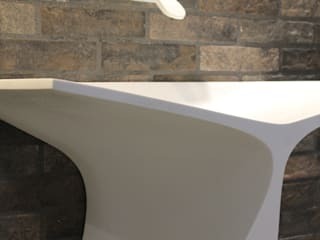 The bathroom is a quiet haven, offering a well-deserved break from the stressful daily life, and DuPont™ Corian® has always played a key role in its evolution. Its outstanding shaping properties, broad spectrum of available colors and warmth greatly amplify the cleansing and regenerating functions of the bathroom. What’s more, Corian® is resistant to stains, scratching, mold and dirt, making it both extremely practical and hygienic. 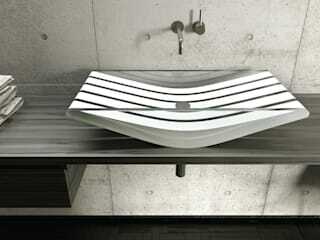 DuPont™ Corian® is an innovational product revealing beauty, color and depth. Its power, reliability and efficiency are incomparable. But most of all, Corian® means inspiration – an unusual material with seamless surface, capable of changing every space and bringing personality to any interior, enriching and making our daily life easier. The combination of unrestricted imagination of designers with Corian’s® ability to be formed and machined, led to spectacular results. The inherent durability of the material and its ability to be shaped, carved, engraved and combined with other materials, resulted in the creation of an noteworthy collection of bathroom products. 3-D modeling, curves, protruding angles and forms copied directly from the nature – all translate into new meaning of shapes, and give tangible form to meaning. 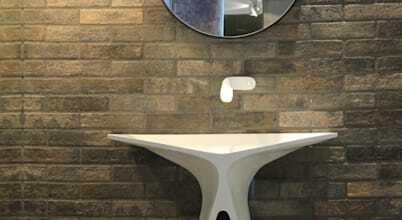 Corian® is an empty canvass waiting to receive the breath of life. 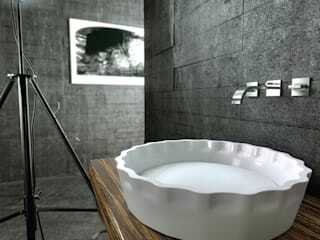 This is exactly what designers of the MyBath series managed to achieve. Manufacturing was entrusted to Acrea who are famous for their passion and endless enthusiasm. They won their position by turning the boldest ideas of designers into reality and creating outstanding products. By following very high quality standards and daring vision they became industry leaders. The MyBath concept developed in partnership with DuPont™ Corian® and Polish designers fits perfectly the general direction of the company’s development. New investments into sophisticated machines and equipment will help utilize their potential still better in the future to come. Certain styles only work with certain houses. Grandiose chandeliers and elaborate sofas are not necessarily going to fit into a small home. You may try it, but don't expect to fit in anything else.